Taking coordination to the extreme our nails can now match the bottom of our shoe soles with the launch of Louboutin's array of nail polishes. 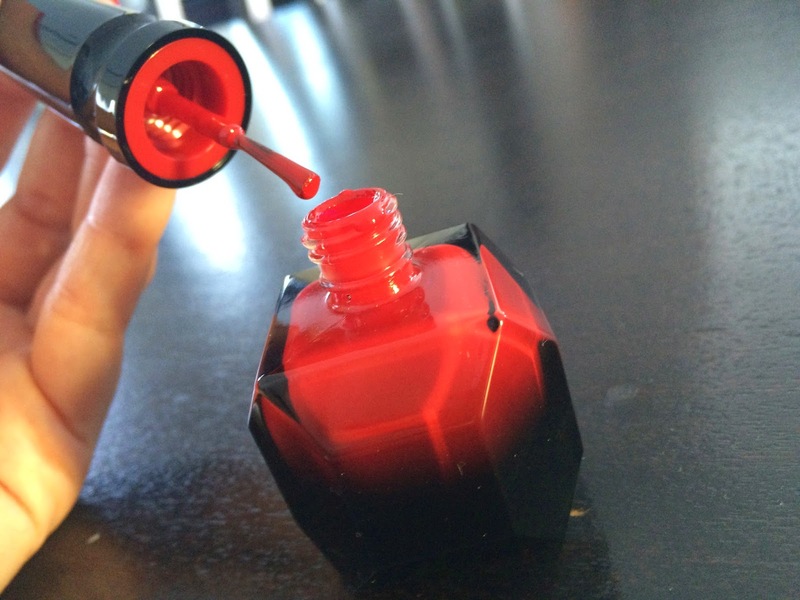 The nail polishes come in the most beautiful edgy packaging, a ruby red gem bottle with a 6inch spike lid resembling the heel of your stiletto, designed to be displayed as an ornament on your dressing table and not hidden away in your make up box. 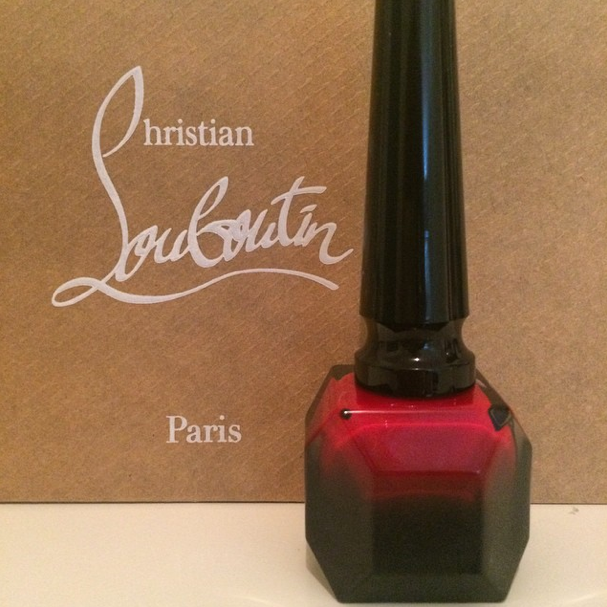 I purchased this in the Level Shoe District and is available in all UAE Louboutin stores retailing at AED240. 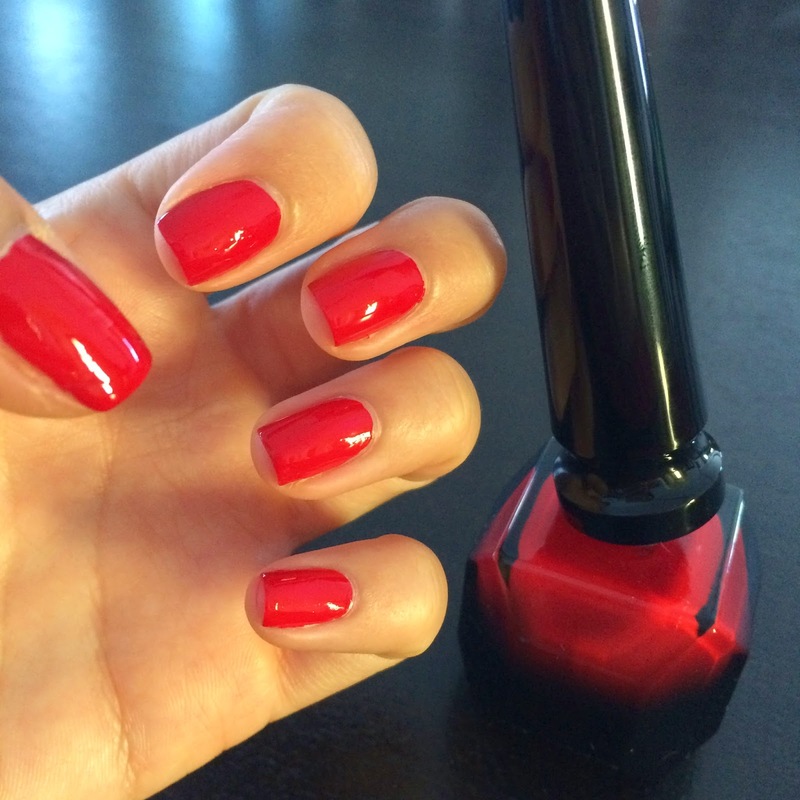 Red is the only colour available in the UAE at the moment, but this was definitely going to be my colour of choice - because if you're going to have red nails, you might as well make them Louboutin red!